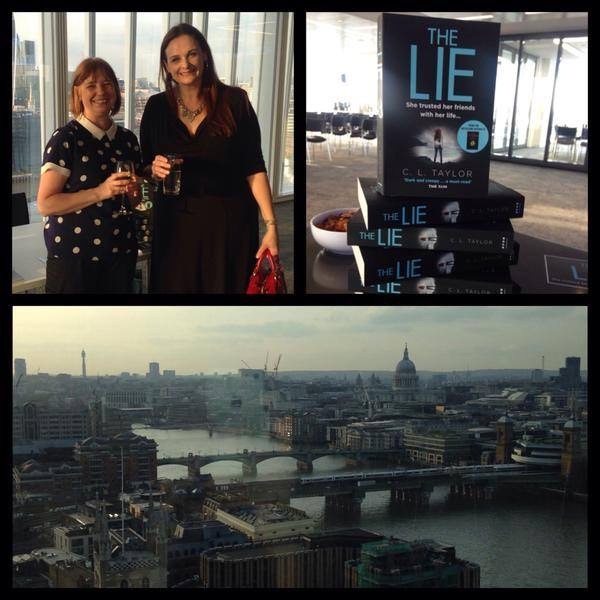 Many authors face the impending publication of a new book with conflicting emotions, the two most dominant being excitement and fear, and I was no different in the run up to the publication of THE LIE. My debut psychological thriller THE ACCIDENT was so well received last year I thought there was no way THE LIE would do half as well. 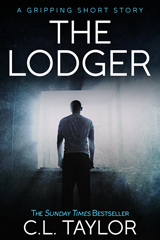 I don’t know if that’s because there’s a certain amount of self preservation in hoping for the best and expecting the worst or if giving up my day job in December made me more fearful about the fate of my book but I am genuinely shocked and delighted by how well my second psychological thriller has been received. 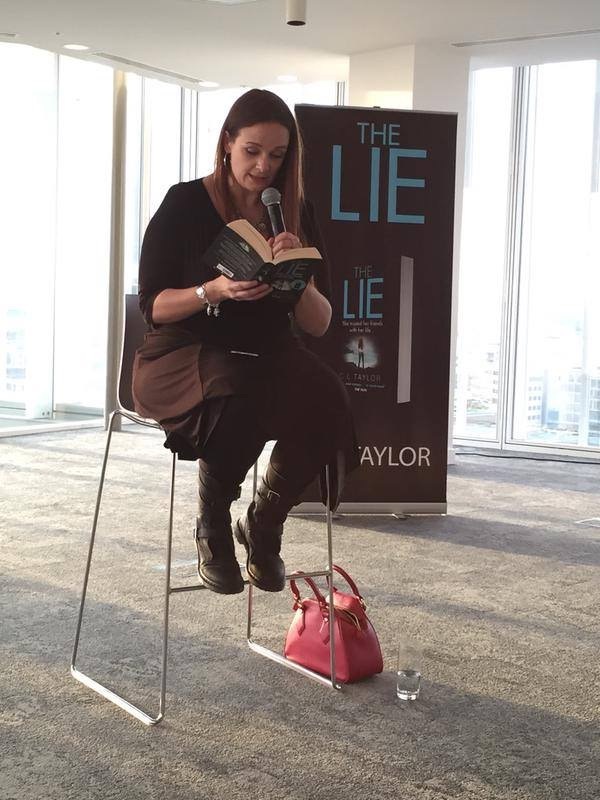 My month got off to the most amazing start with a pre-launch for press and bloggers on the 17th floor of the News building at 1 London Bridge Road, the home of HarperCollins. It was the most incredible evening. The view was breath-taking, the wine was free flowing and the bloggers and journalists who attended were fun, friendly and incredibly supportive. 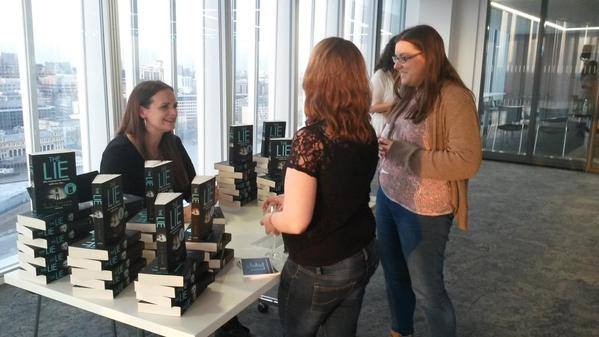 I read a passage from THE LIE, answered a Q&A with my editor Caroline Kirkpatrick and signed a mountain of books. 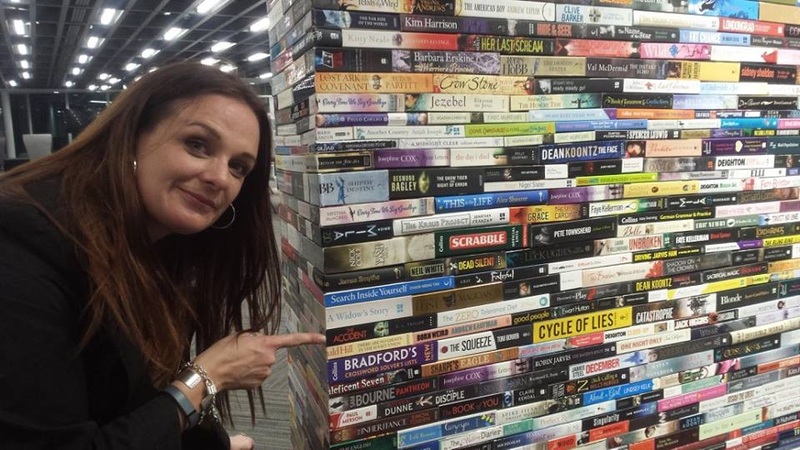 On the way out I visited the famous HarperCollins wall of books and spotted THE ACCIDENT. 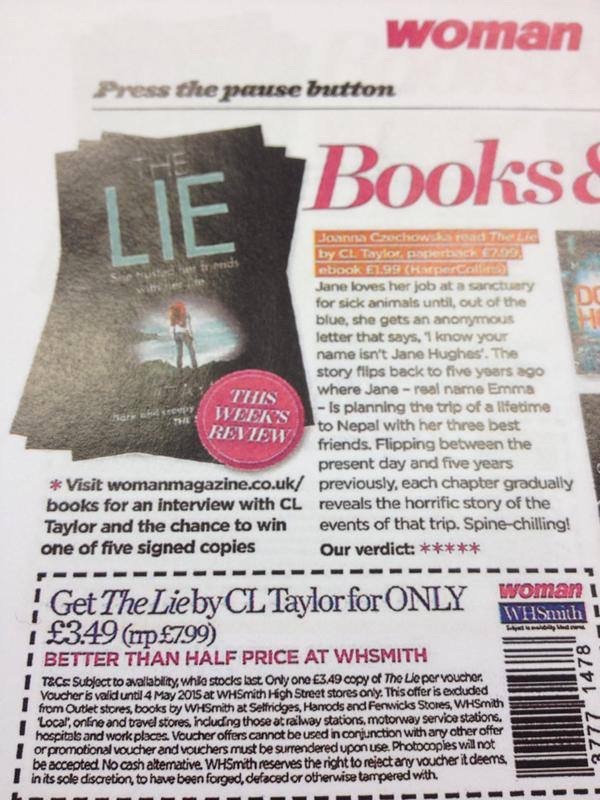 Over the last couple of weeks I’ve received some great press coverage for THE LIE. 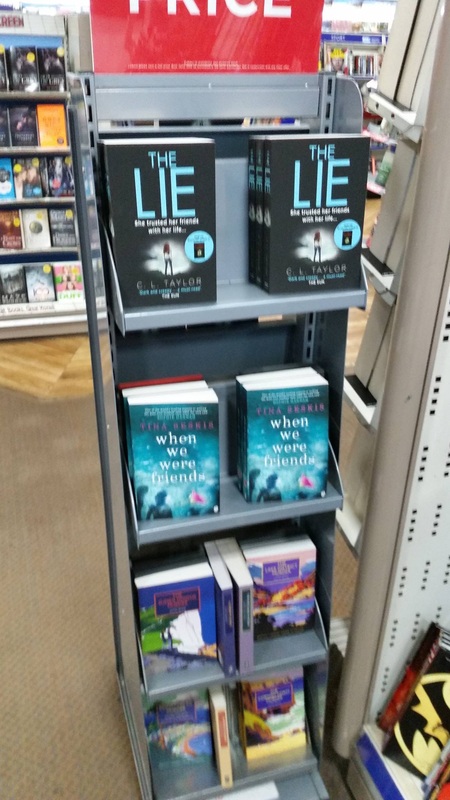 The Sun’s Fabulous magazine said, ‘Packed with twists and turns this brilliantly tense thriller will get your blood pumping’, Woman magazine gave it 5/5 stars and called it ‘Spine-chilling’ and Heat magazine called THE LIE, ‘an excellent psychological thriller’. 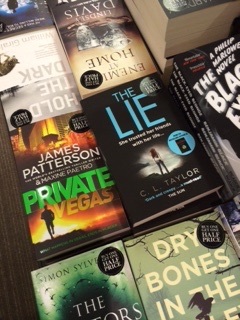 Since the book was published on 23 April friends, family and readers have sent me photos of spottings of THE LIE in the wild. 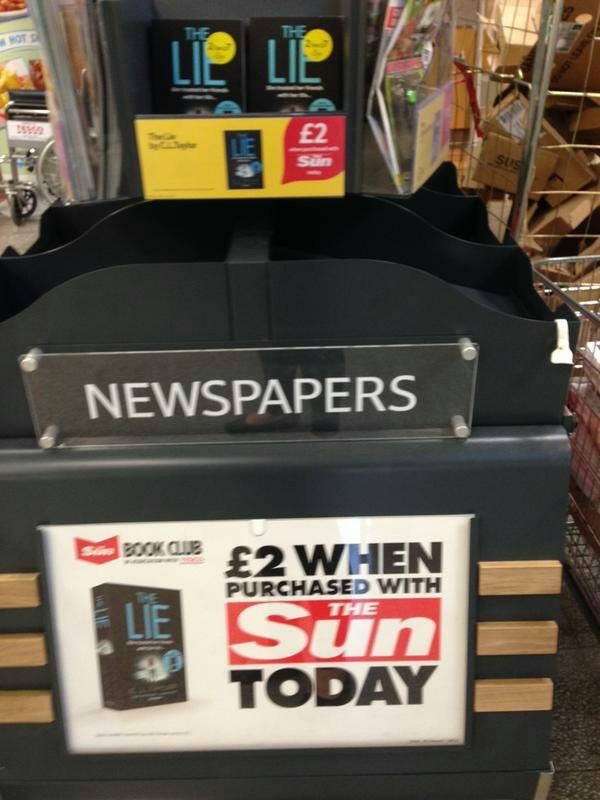 It seems it’s everywhere – Tesco, Asda, Sainsbury, Morrisons, WH Smith and Waterstones. 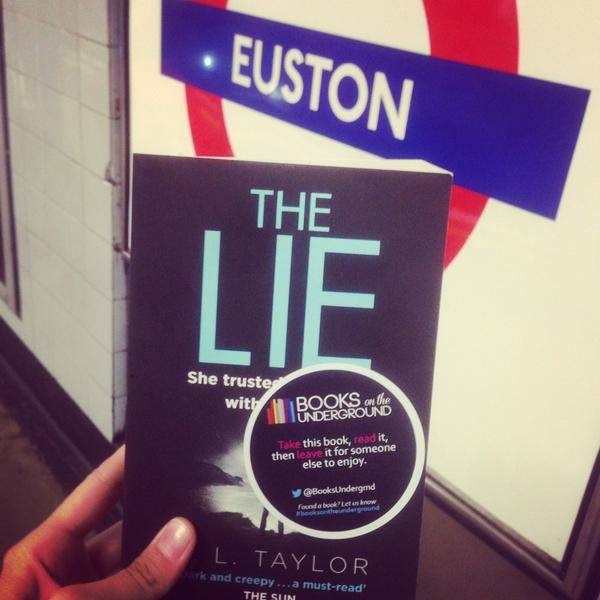 Another exciting event has been the distribution of copies of THE LIE by Books on the Underground. 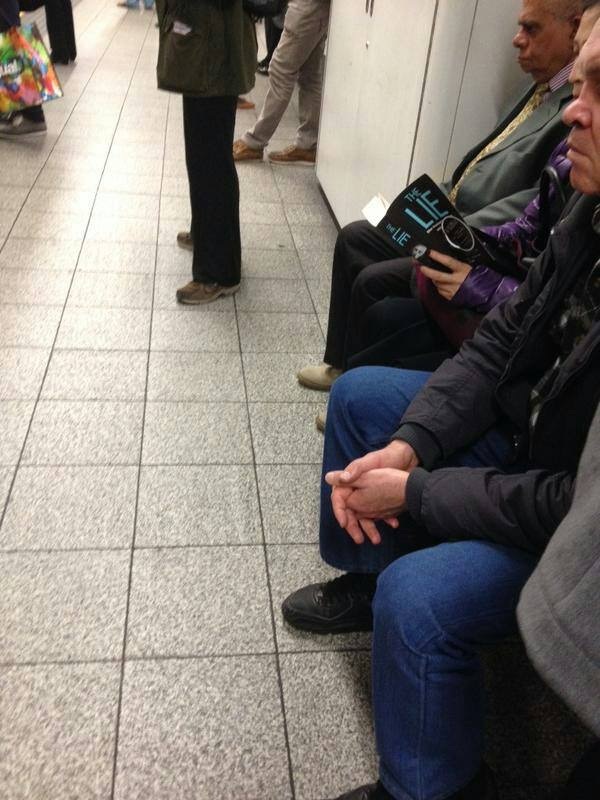 I’ve had so much fun looking through the photos of the stations where the books have been dropped and the surepticious snaps of people reading it. 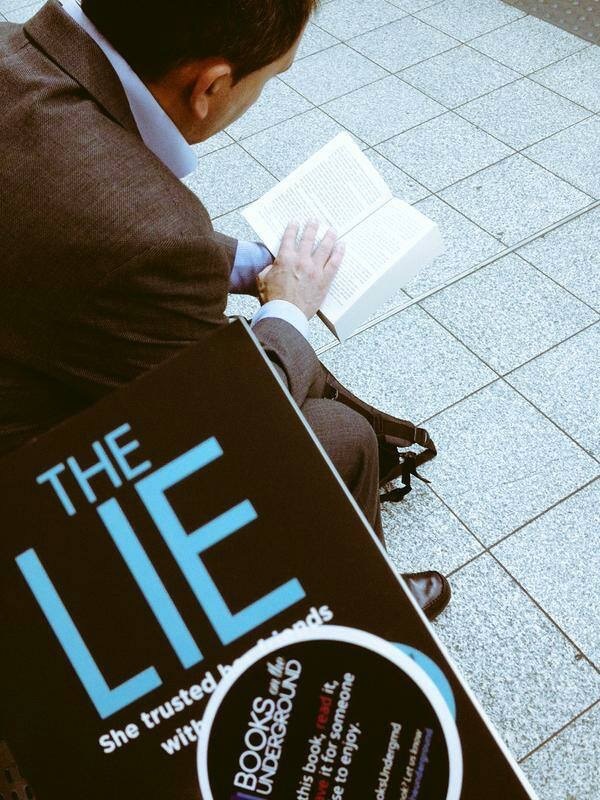 Then there was the incredible news yesterday that, after a part week of sales, THE LIE has made The Sunday Times Bestseller list, going in at number 11, one ranking beneath the new book by Stephen King! I couldn’t, wouldn’t believe it when my editor told me the news. 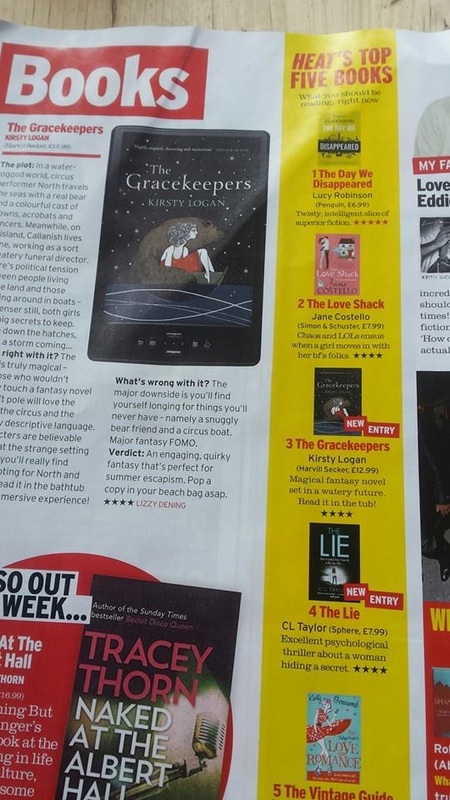 I have DREAMED of being a Sunday Times Bestseller since I realised the chart existed but I never thought it could happen to me. 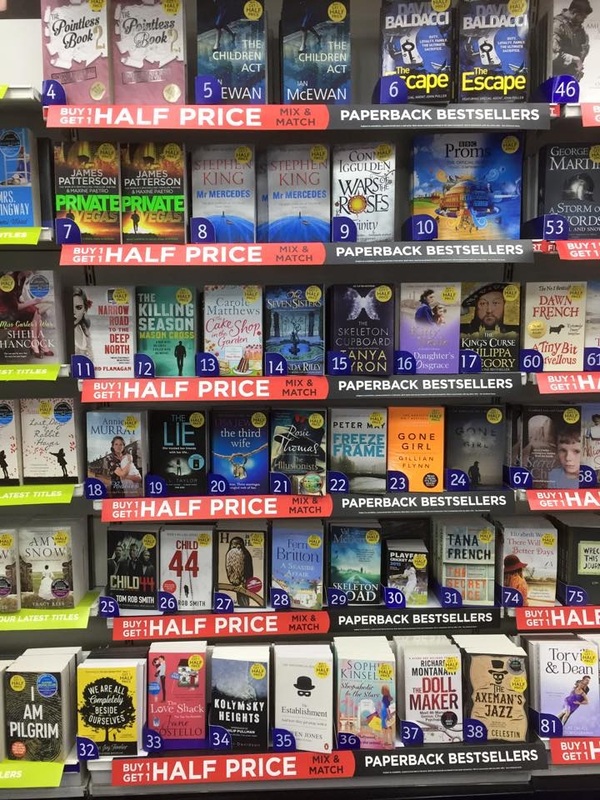 It’s the realm of the big name authors I grew up with – Jackie Collins, Frederick Forsyth, Jilly Cooper, Sidney Shelton. 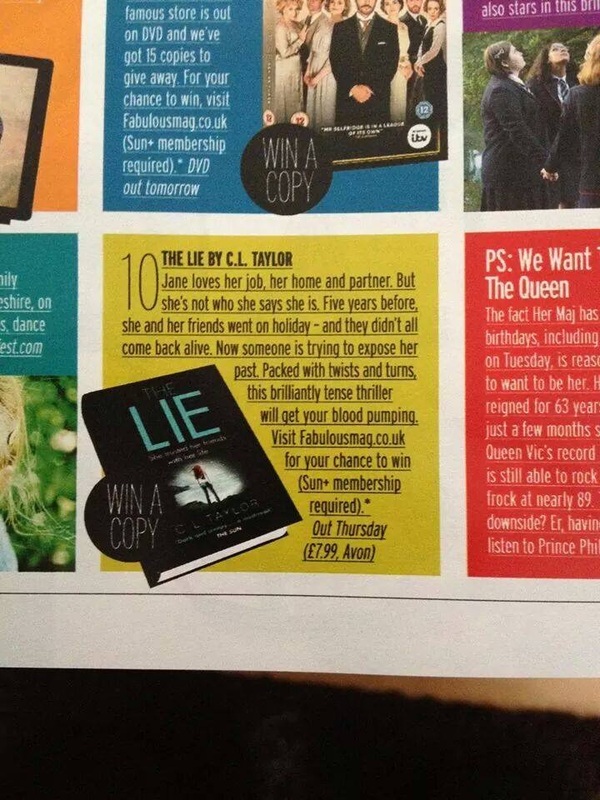 I can’t quite believe that I can now call myself a Sunday Times Bestselling Author. 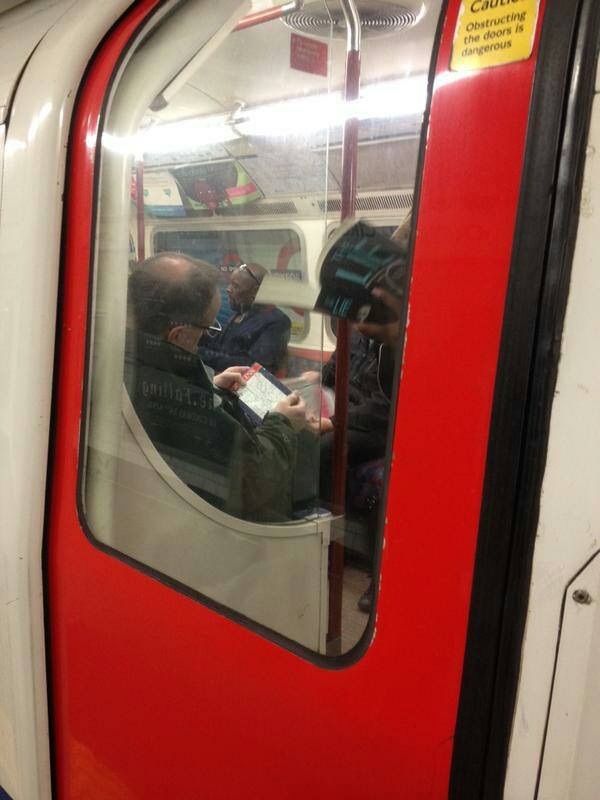 I’m still stunned. 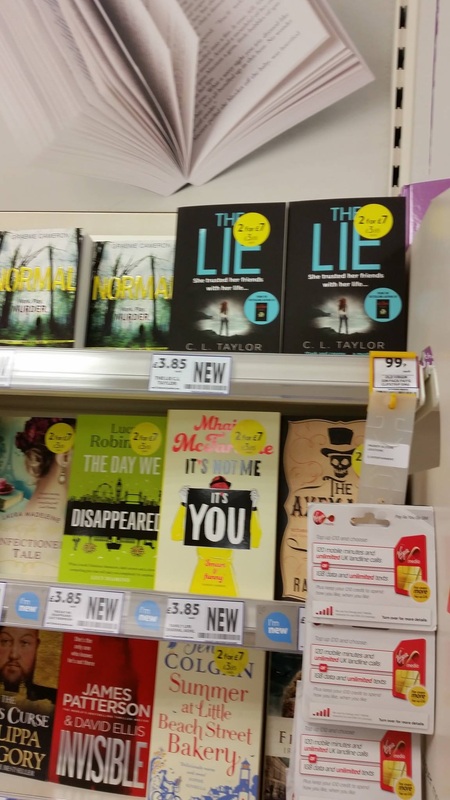 A HUGE thank you to all the retailers who took a chance of my book, to the readers that have bought it, the press and bloggers that have reviewed it, the authors who gave me quotes, the wonderful team at Avon, my agent Madeleine Milburn and her team and every single last person who has tweeted, Facebooked or messaged me and helped spread the word. And not forgetting my family and friends who have put up with a ridiculous display of neuroticism in the lead up to publication day! I know this may sound like one of those awful OTT Oscars speeches that make you want to throw things at the TV but I need to capture this moment so I can remember it. There are a lot of ups and downs in a writing career and you have to relish the high moments to keep you going through the low ones, particularly the self-doubt and the fear. I really, REALLY struggled to get THE LIE right. I spent three months rewriting it last year and it very nearly defeated me. I’m so, so glad I didn’t give up. 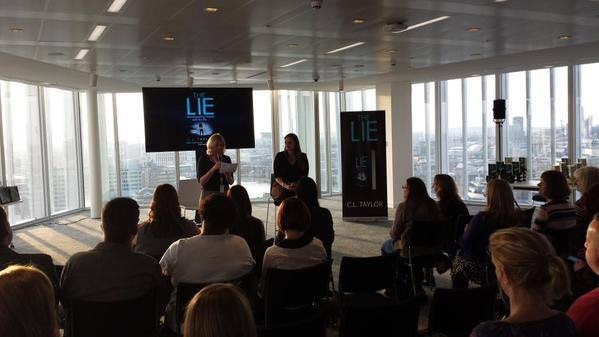 Having followed your journey from the early days of short story writer, I couldn’t be happier for you, Cally. Your blog post does credit to the title – what an incredible month! Congratulations! It really was. Still haven’t quite come back down to earth. Fantastic! I am so pleased for you, you deserve it! Great news! Saving The Lie until I go home at the end of the month. 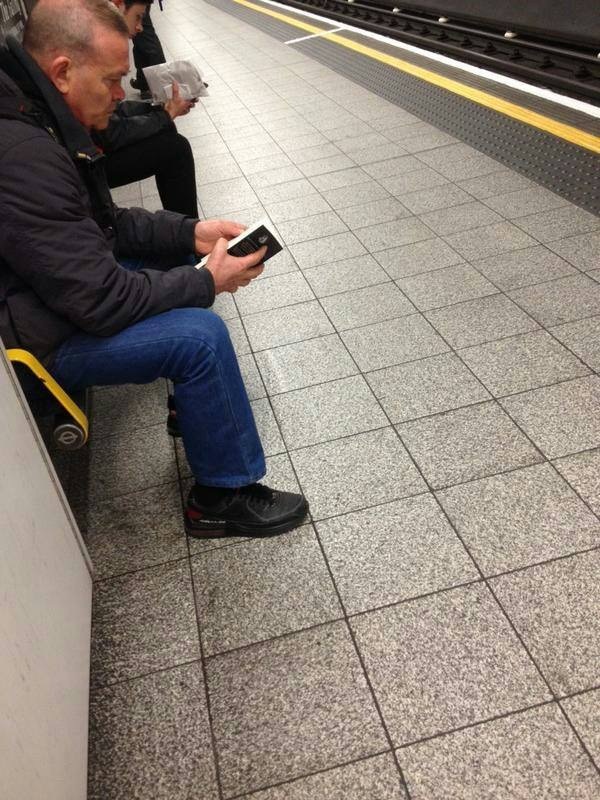 I am convinced the anticipation of it will help the days go quicker. Hope you enjoy it after all that anticipation!